Description/Historical Information: The Corporal (left) is wearing a harness for his base drum to be hook onto. The Sergeant (right) has a crossed swords arm badge on his left sleeve, which is the badge of Instructor of Gymnastics or Serjeant PT. 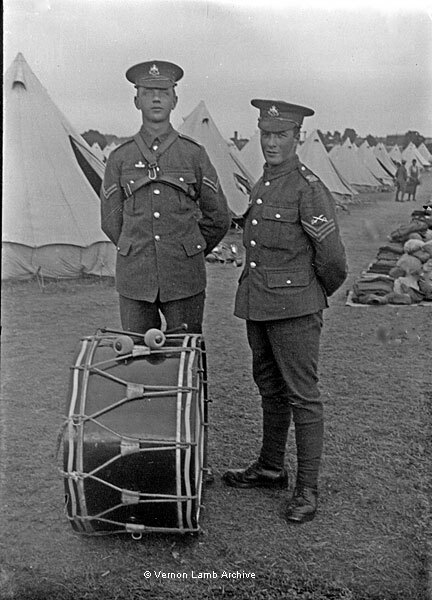 Before joining up the drummer had probably been a member of the New Mills Prize Band, which was recruited in its entirity in Nov 1914 [Also see VLA4876].